We offer a variety of services including residential and office moves, as well as free onsite estimates, and secure storage facilities! 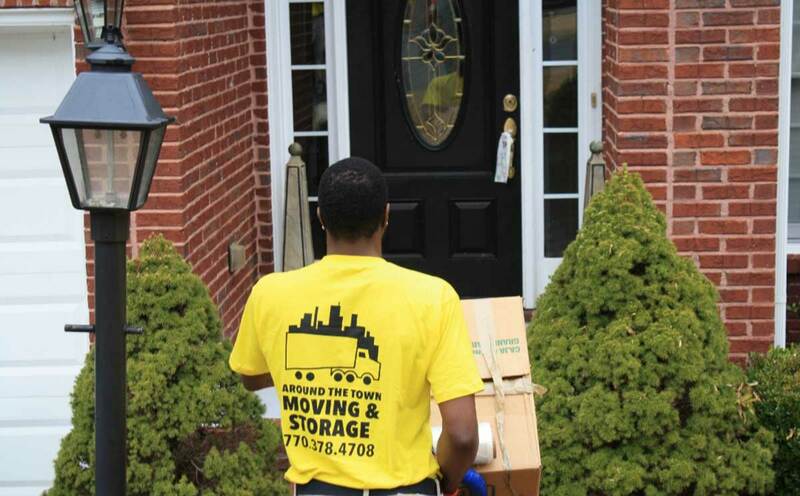 For professional movers in the Atlanta area, Call us today! Moving an entire household is stressful, and we’re here to help you with managing your relocation stress. Moving your home can be a stressful process, but Around the Town Moving & Storage is here to make your transition as stress-free as possible. Around the Town Moving and Storage is the high value, low cost efficient choice for you Marietta storage needs in Marietta Ga. Minimal downtime is an important factor when moving your businesses. Count on us to get the job done quickly and efficiently. Get your moving quote today. I'm a repeat customer with Around the Town and both experiences have been top notch. 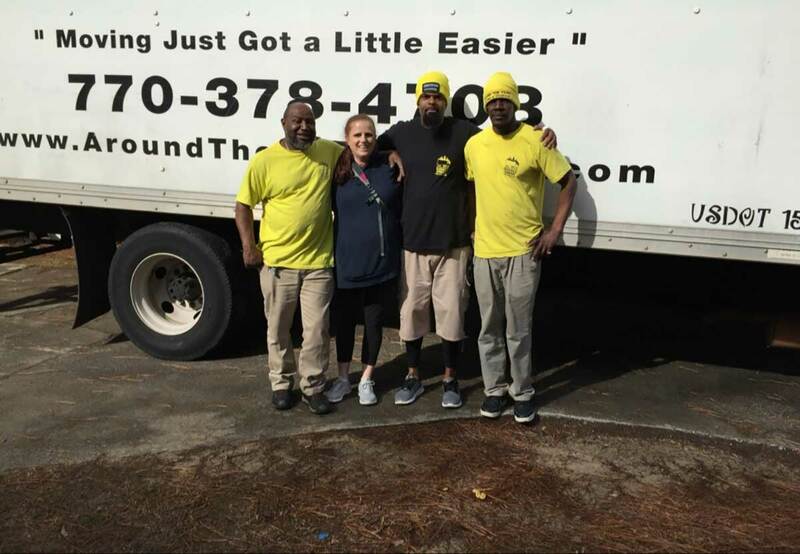 My most recent move was fast, smooth, and cost-effective; movers Kevonté, Cornelius, and Binky were on time, treated my things with care, and worked quickly. The company service manager even stopped by to check on the project during the move. I recommend Around the Town Movers for anyone in Cobb County. This company made my last minute move so easy! They fit me into their schedule, arrived on time, and moved me in a timely fashion. Very professionally. I will definitely use these kind men for all of my future moves! Thank you Around the Town ! Take a look below at the wide range of professional services we provide. Intrastate moves are those greater than 50 miles radius of the origin within the state. We offer first class, direct service to any state within a 700 mile radius. We understand that minimal downtime is an important factor in moving your businesses. No matter what your business, we get the job done quickly and efficiently. If you are running short on time and need additional hands to assist in packing your belongings, our packing team is here to help. Our climate-controlled, gated facility is safe and secure, offering one of the most advanced security systems combined with 24-hour camera surveillance. Whether​​​​ you require distribution or fulfillment, or a complete supply chain solution, we can provide a customized logistic solution tailored to your needs. We put together this easy Moving and Packing Tips. With the right materials and Around the Town Moving's helpful packing tips, it can be a worthwhile way to save money on your relocation costs. With the information below, we will equip you with the tools to achieve professional results and maximize the protection of your possessions. By packing things appropriately and in an organized fashion, you can ensure the safety of your items and prevent damage. Plus, the better you pack, the easier it is to unpack in your new space! At Around the Town Moving & Storage, we are dedicated to making your move as stress-free as possible. With us, you will never have to compromise professional and courteous service for affordability. Searching For A Moving Company Nearby in Marietta? ​The best moving job begins by working with pros with outstanding attitude and experience that are as incredible as their knowledge. Our home moving specialists are the best! The responsibility of packing and delivering your personal property requires great care. This necessitates the latest equipment and cutting-edge training. We are known for every aspect of packing and moving you from one home to another, but we are also commended for commercial packing and moving, as well as doing eviction moving and cleanup. A moving company that offers all the services that we do, that maintains the best equipment and excellent training , is more desirable than the college kids without experience who only offer one thing: home moving services. When only professional full-service will do, we are the very best in Marietta. To find out what we can do to help, just give us a call. Are Bargain Priced Movers In Marietta An Actual Bargain? If your impression is that the cost is just too good to be true, it probably is. There are unscrupulous moving companies out there. With cheap movers in Marietta the initial evaluation is often at least 20-30% less than other Marietta movers. Often, they also want too large of a deposit. It's standard to request $100 -$200 as a working deposit but don't even think of being charged upwards of 25% of the complete job! Hours and expenses can catastrophically increase on moving day, small and large items of yours can inexplicably 'disappear' and unbelievable amounts of harm can be inflicted on your furniture and home as well. Cheap is NOT worth it. Give us a call. You'll be glad you did. Moving is one of the most stressful events in most people's lives. The stress of relocation is then compounded if you end up dealing with movers who are not preparped, are unprofessional or worse, even a bit shady. However, the extra work required to find a reliable, reputable and qualified mover is not only well worth the effort and the time, but can dramatically reduce the stress associated with moving. Make sure that the moving company actually has a place of business they operate from. Get the address and make sure it is where you're told it is. That's always a sign of a solid company - when they have a physical location, they're in the business for the long term. If you're moving a whole home, don't let the mover quote you over the phone. Nobody can give you an accurate 'phone' quote for moving and if they do, be prepared to get an upcharge on moving day. In order to give you an accurate quote, reputable movers will physically come to your location to inspect the items you want moved. Ask if they have workers insurance. The last thing you want is the movers to have an accident while on your property without having appropriate insurance. If they don't, it could end up being covered by your own home insurance. Find out if they have accidental damage insurance, in case your property is damaged in transit. You should know that your prized possessions are in good hands and if something does happen, that you'll be compensated. If you choose a high profile moving company, don't be surprised if they have some complaints lodged against them, at the Better Business Bureau. That comes with doing high volume and doesn't necessarily mean they're not a trustworthy and excellent mover. For every complaint, there are probably dozens of happy customers. What Is The Financial Cost of Moving In Marietta, Georgia? Never employ any mover in Marietta from the internet. Only contact a highly-regarded moving service. If you receive a quote that is unusually low or is estimated sight unseen on the phone, it's a swindle! Many dishonest moving scam artists keep your boxes and household items and put them in locations so you don't know where they are, to get even more money than originally quoted. Stay away from movers that sound too good to be true. Stick with movers - Marietta with a stellar reputation. It is absolutely necessary for you to check into Marietta mover's testimonials and references. Speak to as many of their clients as you can from a few movers in Marietta before attempting to make a decision. All highly regarded moving firms will come out to your home to measure and assess all that needs to be moved. Be sure to obtain an appraisal from two or three movers in Marietta. Summer is on it's way, and with that, thousands of households will be moved to new locations. In order to ensure you're on the happy side of the street, when all is said and done, follow these few tips for a stress free transition to your new place. Your Moving Inventory: A reputable moving company will send an estimator to visit the property you're moving from, in order to thoroughly examine your inventory for moving. They should be looking in all the nooks and crannies, including the cupboards and drawers to determine how much space your stuff will take up in the confines of the truck. A good portion of the estimate accounts for the weight of your goods in transit, as well. A Thorough Walk-Through: One tip off that perhaps you're not dealing with a highly reputable moving company is if they do not examine your goods thoroughly. Otherwise, they'll want to know what goes and what stays. They examine the garage and the backyard shed to understand in great detail what they'll be responsible for. Reputable Movers Don't Demand Large Deposits: Once you book them in, they shouldn't ask you for a large deposit before you move. Your full payment is due, however, upon delivery of your belongings to your new location. Solid Moving Companies Don't Charge Their Names Often: Just like with any 'good' business, your name is your bond. Your aim is to service as many clients as you can, creating a host of referrals and recommendations. If you happen to notice that the business card the estimator gave you is different than the logo on his panel van or truck, you may want to dig deeper. Find out if they do business under several names, call the BBB and make sure they have insurance. Get Reliable References Online or From Friends: Often the best place to go is to your friends. That's what most companies strive for, and honest referral. Ask your frineds about their moving expereinces, if they've had one recently, or if their friends have had one. Sometimes they can tell you who NOT to call! Beware of Additional Fees: They may not mention it, but that doesn't mean you won't be charged! Do the movers have to climb stairs to get to your goods? Do they have to travel by elevator to your floor? Do they need to move large items around tight corners? You could be in for extra fees if you don't do your homework before you move. Understand the 3 Types of Moving Estimates: 1. "A binding" estimate should be a guaranteed price quote for the whole kit and kaboodle. Packing and unpacking (if requested). 2. "Non-binding to exceed" estimate ensures you don't pay for any additional amounts to the original quote (potentially because of their errors in estimate or delays). You pay the amount agreed upon. 3. A "Non-binding" estimate indicates that you can be charged more but only 10% more that the original estimate. These must be paid within 30 days of the move. Once You're Moved: Make sure you report any problems or damages as soon as possible. If you open a box a year later, and you find an broken "something" you'll be disappointed when you learn there's nothing to be done about it. You have nine months to make note of and report any damages. Your skilled Marietta moving companies are able to supply you with a complete selection of options they have to offer. The very best Marietta movers deliver a large choice of moving related services such as places to store your possessions, as well as both packing and unpacking options. Perhaps you only need a simple local move of a single room studio apartment, or perhaps you're going out of state, in any case, we'd like to handle your move. Other types of services we offer might include eviction and junk removal situations, moving your office or business, as well as transport of freight. Cheap movers in Marietta cannot offer such a selection. Want full service options? We're the best Marietta movers. We have moving specialists who like to work with you on the needs of your commercial move. Depending on what kind of business you have we will establish the exact type of equipment that will be required for your job. We completely understand that the least amount of time spent moving is critical for each and every business. Whether you are moving a small furniture store - or a giant office building, we do your job swiftly and easily. We also move heavy and large equipment. As our trucks are big we can get even the largest loads and jobs moved easily - across town, or across the state. We always coordinate each job meticulously so that there is the smallest time interruption to your business. For all of your commercial relocation needs, discover our one-stop resource. Reach out to us if you have any special needs for your commercial move. We like our commercial clients to have the best business move of their life. 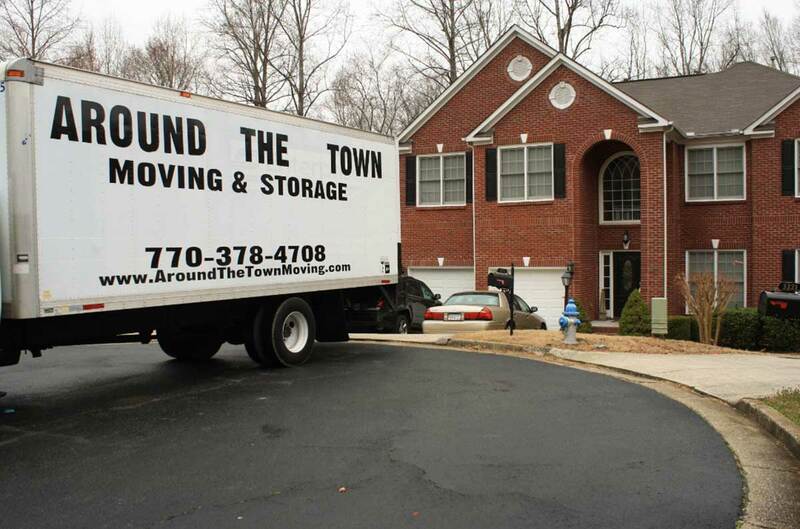 Call us to find out why we are considered the best mover in Marietta. How Much is the Average Relocation Package? It's probably more than likely, if you're in a professional job in a major US city, that at some point in your career, you're offered a relocation package. But how do you determine whether taking the package is worthwhile? Relocating yourself, your family, your pets and your belongings are a big deal. So it's important to know -at least from the moving end of things - how much of the relocaton expense they'll cover - and how they'll sweeten their offer. Relocation packages consist of three components. Temporary living, a lump sum payment and the cost of the physical move. Consider What Companies Spend on Relocation: Relocation packages can range from around $10K to a "gold-plated" package of around $65K. The average is about $20K. However, some small companies have been known to "level the playing field" when competing for a new employee, by upping the ante on their relocation offer. Closing Remote Candidates: Companies vying for a new employee must consider, aside from new employee wages, their relocation offer. There's no doubt the potential employee will be considering it. Before losing out on a potential candidate, the employer must ask themselves whether their relocation offer is the best they can offer. Preparation of a competitive "relo" offer before going into negotiations, is essential, to offer no less than the average 'standard' package - which is in the range of $35K, otherwise they won't even be in the ballpark. Why compete at all? What is a "Gold Plated" Relo Package? A "Gold-Plated" relocation package will also contain components that address area schools, a spousal support network, spousal unemployment costs, offering the opportunity to be part-time until settled, reimbursement on any financial loss when selling the old home, and a myriad of other considerations - all addressed financially. Best Candidates Will Expect the Best Relocation Package: If your new potential employee is at the top of their game and an undeniable asset to any company, they'll know it. They expect to be compensated for their skill, knowledge and expertise within their field. If you're going into competition over a valuable candidate for your company, be prepared to win them with your very best salary and relocation offer or don't waste time and resources preparing a less than competitive, fullsome presenation. What Can We Look Forward To Marietta Movers To Provide? When moving companies are respected in their field you can be certain of a thorough job without damage to your possessions. All facets of any move, whether out of state or just locally must always be taken care of in a professional, courteous and timely way. Expect nothing less. Furniture and appliances need to be padded. And all banisters, wall corners and flooring must be protected with drop cloths and pads to protect them from dirt, dents and chips. If you're in the market for the best Marietta movers then your search ends at this website. You'll discover that we are known for our service and attention to detail for out of state as well as your local moving needs. We're the time-tested pros when it comes to challenging projects - which even means clean up and removal of all junk and abandoned property from a home that had an eviction. Even if we do a packing or unpacking of a giant house, or only putting in or removing appliances, you can expect the very best service and result if you pick us as your mover in Marietta. Only the most in-demand candidates will be offered the very best in relocation offers. If you're in a position to be transferred from within your company to a different branch office, you may be offered somewhat of a smaller relocation package. In some cases, the company will pay for the whole cost of moving, or offer a flat fee arrangement, while in other cases, losses on your current home may be included. Home Locating: Your company may foot the bill for your trip to your new location in order for you to get the lay of the land, in terms of residences. This usually includes the cost of hotel and transportation. Job Support for Spouses: The best relocation offers include support for your spouse. Whether this is in the form of emotional support, or job search support, this is often included in a moving/relocation package. Buying / Selling Your Homes: Buying and selling for job reasons, incur costs that may be covered by your employer. Things like real estate fees, land taxes, and other expenses involved with buying and selling real estate. Transportation: Should your job relocation be across the country AKA a long way away, your relocation package should include the cost of travel by air, land or sea. More like by train, plane or automobile. Temp. Housing: While it's great when things line up perfectly, most transfers don't. Sometimes it's necessary to have temporary accomodation in the interim. These costs are most often covered by the employer. Moving: The costs involved with physically moving your belongings to your new location are often included. Full Pack / Unpack: This is the ideal situation, where your company picks up the tab for full service treatment. The movers will pack and unpack your possessions. Before you accept any job relocation offer, make sure you know the ins and outs of your relocation package. Moving house is stressful enough without ambiguity over who's covering what with respect to your moving expenses. Must You Move Immediately As You're Being Evicted? Whether you need an eviction mover due to a tenant who has left without notice or you, as a tenant must move right away, we help everyone - no matter whether it is a residential or commercial property. We are well versed in removing bulk trash, old appliances and even swing sets, hot tubs and furniture. We're great also at removal of construction debris, fencing, sheds and decks. No project is too difficult for us to handle. We can also change locks. Immediately after an eviction has taken place, all personal possessions and garbage need to be removed within 24-72 hours. When you move, if anything is left behind your landlord has the right to keep, sell or dispose of them. This means your food, your car and even your clothing or anything else you leave behind like furniture and appliances. It even includes a land lease home or a mobile home. Regardless of whether you're the landlord or tenant - we have the expertise to make this kind of situation easier on everyone. We are your local eviction moving source. Plus, we proudly serve all of Georgia. We are the Marietta movers you will want to work with. It's never as simple as calling a mover and asking that question. If they do give you a quote, run the other way. Moving estimates should be done in person and the company should book a time to come out and examine your goods. However, below are some short cuts, unless your lifestyle falls into the 'outlier' realm! What type of a move do you need? First determine what kind of move it will be - which will largely revolve around two factors. Money and Time. On the lower cost end, if it'll be you and your spouse who rent a truck and hand balm everything into the back - you'll save a ton. It's the most cost effective solution, but not an enviable one, and not feasible for most unless you're young, fit and have loads of time. The best alternative is also the most expensive, that is to hire a moving company to come to your home, pack up and drive it to the new destination and unpack it. Whew! Done. Next? Most common practice, and middle of the road in price, is to pack and unpack yourself, while hiring a moving company to bring it to the new location. How much stuff do you have? That's a loaded question but rough guildelines indicate that a studio apartment contents will weigh around 2000 lbs, a one bedroom home weighs about 2500 - 3500 lbs, contents of a two bedroom home weigh between 5000 - 6000 lbs, three bedroom homes can be up to 9000 lbs and four bedroom homes can be 11000 plus. Some folks have a lot of stuff with things are jammed into every corner, which is why it's paramount to have an estimator come to your home to give you a true idea of cost. The more stuff you have to move, the more expensive it is. Think about the hours involved to physically carry your items to the truck. Is your move local or national? Movers charge by the hour, whether that hour is spent physically moving your possessions, or sitting in the truck cab driving across town. You can expect to pay $90-$120 an hour for 2 movers and a truck. Prices can really vary but here's a general idea. If you're moving out of a studio apartment it'll cost around $200, a two bedroom, approximately $400 - $500, 3 bedroom should cost around $1000. Do you live in a big city or a small town? Moving costs are much higher in the big city. Insurance is more costly too. Movers must deal with parking issues, potential parking tickets, more exposure - that is - more risk to accidents, more hassle driving in traffic with more congestion. Expenses are generally higher in the city, so that cost is bourne by the employer and translated to the customer in higher fees. What time of the year are you relocating? The busiest weekends for moving are in the summer, with 8 "moving" weekends of the summer booked well in advance. Weekends are pricier too. Moving companies often charge a premium for moving dates that falls between May and September. Holidays can play a big role too. Imagine moving on the day before Christmas - no thanks! Need Guidance Relevant To Storage Facilities? In Georgia? Cheap movers in Marietta don't offer the storage options that we do. We make available secure wooden crates to safely store your possessions. Our crates are insured. Your possessions are wrapped and padded and everything is kept in a monitored, secured area. This ensures that your items remain clean and dust-mite free. And, we also know the contents of the other crates in the area guaranteeing that there are not any hazardous materials or bugs in any crate that is in our secured area. During business hours, for a small fee you may access your crate. This containerized method is the most clean and secure of all storage options in the moving industry. Most Marietta movers commonly offer self storage only - but there are some problems with that type of storage. You will not be aware of insects or hazardous materials that are nearby. Plus, none of your possessions will be protected from dust and dirt - or be insured. A special wooden crate is the ideal solution to protect your valued possession. 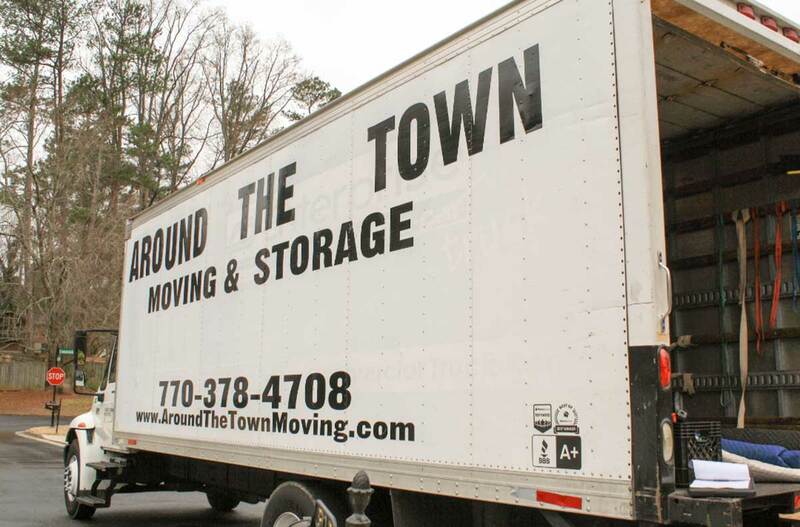 Call for more information as we are one of the top movers in Marietta. Before jumping into moving house by yourself - DIY style - consider which of the following is the most important to "save" - money, time or health. I want to save "Money": If saving money is the most important factor in considering your move, the most economical way to do it will be do it yourself. You'll scour the grocery stores for empty boxes and pack up all your treasured belongings yourself. You'll arrange to rent a panel van, cube truck or larger to available for you on the moving day. You'll call around to your friends and family to illicit some help. If this is the route you want to take, don't commit until you see below for additional considerations. I want to save "Time": If saving time is your most important factor, you'll likely hire a moving company to do all the heavy lifting. They'll come to your home and do an estimate first - detailing the items and getting a sense of how much there is to pack and move. Then they'll quote you. You should look at getting two or three quotes and make sure they offer full replacement value insurance. A few days before your move, they'll arrive with their entourage to pack your items carefully so that nothing will be damaged. Meanwhile, you'll pack a suitcase to move to a hotel in the interim, until after the move. Then, when you take possession of your new home they'll have unpacked and you'll arrive having your cutlery already in the kitchen drawer! If you want to move yourself, take into consideration, which pieces of furniture you own that may present a problem and make sure you allow for them. For example, you may have a piano or a pool table. These are heavy items that could risk your health, requiring too much strenuous activity for just two people. If you have items of this nature, make allowances by waiting to move them until you have the required manpower. Ensuring there are at least 3-4 strong young men available to move these items will make the move go much more smoothly. You might also consider hiring a company that specializes in moving pianos or pool tables. The most important thing of all, no matter which way you go, is to play it safe, and never risk your good health for the sake of moving a sofa! Do Many Marietta Movers Do Packing and Unpacking Jobs On Site? Whether you move near or far, unpacking or packing up a giant home or business can be stressful, tiring and time-consuming. We offer full packing, partial packing or even single item packing options. Our full packing option has us packing every item you own - and of course we can unpack it all at the other end. Partial packing can be packing just one room, or only the items you specify. For packing of heavy furniture or delicate items, we can do single item packing if that is all you need. If you want, we can pack whatever you choose, and do it when you want it - but we also do a great job of unpacking it all! When you pick up your phone searching for only the very best Marietta movers, you'll discover that we have a stellar reputation for our reliable staff and top quality equipment. A long standing history of quality results and dependability have made us the leading mover in Marietta. Our customers are of top importance to us. You can do it all yourself, or you can let us take the stress off of you. 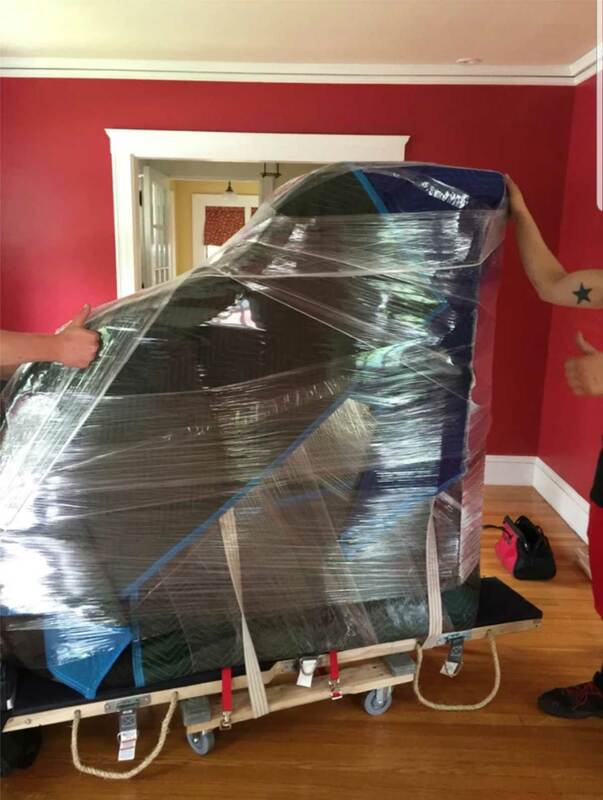 Whether you want loading and unloading, packing and delivery services, complete packing services - or simply for us to wrap your furniture we are your mover in Marietta. DIY Moving - The Most Popular Way to Move Locally But Not Necessarily the Cheapest! Before you decide to DIY your move, consider the following to understand the average costs and the steps involved. Truck Rental: The costs involved in a truck rental will vary greatly depending on where you're moving to, whether around the corner, across town or across state. How many days will you need the truck? How much you're moving will also make a difference, for example, do you need a panel van or a cube truck or even bigger? The more trips back and forth you take when moving across town or around the corner, will increase the per mile charge with some companies, so getting a smaller van may not be more economical. Truck Rental Insurance: If you're not a truck driver, moving in and out of tight parking spaces could be challenging and result in a ding or two. It's important to your peace of mind to get truck insurance to avoid the hassle if something like this happens. Fuel Expenses: Usually fuel is not included in the truck rental price. You will pick it up full of fuel, and must return it full of fuel. Otherwise they will refill the fuel tank at a higher than normal price at the pump. They may charge you for cleaning as well if you return the truck dirty. Expenses for packing boxes, tape, labels and specialty foam or bubble wrapping. Depending on how valuable or precious your items are, you'll have to take special care wrapping and packaging some things - at additional packing wrap costs. Do you have a lot of clothes to move? You may want to purchase cardboard wardrobe moving boxes. Consider the cost of hotel expenses and eating out. What about muscle? Do you have enough of that between you and your spouse? Maybe there is no spouse. You'll be calling friends and family. Oh, they're not nearby? Then you'll call the movers to supply the muscle. They'll likely charge around $90/hour for 2 or 3 men depending on where you live and the company. All in all, is DIY moving really cheaper? Only you can decide, but make sure you factor in your true costs by considering the above suggestions. You'll want to make your move as smooth as possible, since it's one of the most stressful things we do in our lives.